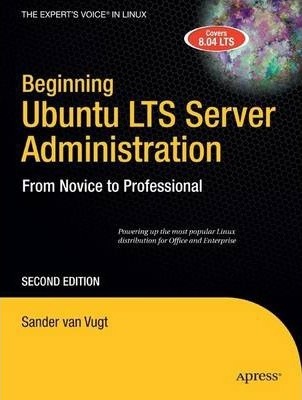 Beginning Ubuntu LTS Server Administration, Second Edition is the touchstone companion book for anyone implementing Ubuntu LTS Server. Author Sander van Vugt introduces the most recent server edition of Ubuntu Linux, the most popular Linux distribution, to power users, system administrators, and programmers and demonstrates the power and flexibility that the Hardy-Heron Ubuntu Server Long Term Support Edition offers for small networks and corporate systems alike. Sander van Vugt is an independent trainer and consultant, living in the Netherlands and working throughout the European Union. He specializes in Linux and Novell systems, and has worked with both for more than 10 years. Besides being a trainer, he is also an author, having written more than 20 books and hundreds of technical articles. He is a Master Certified Novell Instructor (MCNI) and holds LPIC-1 and -2 certificates, as well as all important Novell certificates.